He’s not going away. We all thought Hillary Clinton had this problem because he was mostly in the basement after the 2016 election, but Barack Obama has become as insufferable as Lady Macbeth. Now, the bonus from both is that they animate Republicans. There are no other figures, besides Nancy Pelosi, that unite the GOP base. At the same time, we need to hear to their insufferable condescension about American social policy. The stench of elitism is overpowering—and one that shows the true arrogance of this political movement. Even when they lose, it’s not them or their awful views on policy that cost them at the polls, it was that everyone else who isn’t like them (i.e. most of the country) are just out of touch. The Democratic House gains were in part due to moderate Republicans jumping ship in the suburbs. They’re traitors, but that’s for another time. 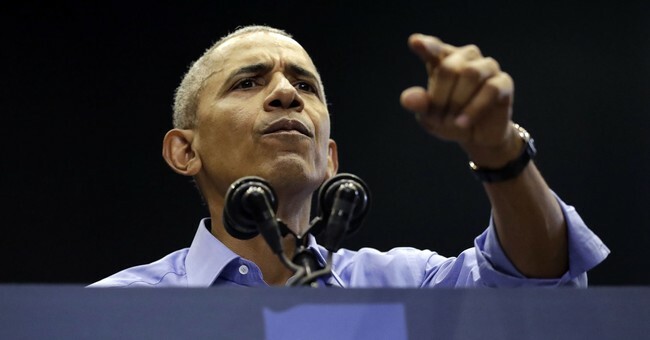 In Chicago, Obama, speaking at the Obama Foundation Summit with David Eggers decided to return to his favorite pastimes: bashing Americans, saying that we’re dealing with a lot of stuff that are impediments to change. It’s our fault you see. We don’t hop onto his crappy Clean Power Plan, which Trump has gutted, because we’re dealing with mommy issues, blind, confused, and maybe a little racist, or something. No, your plan was crap, Barry. It would have torched the home budgets of fixed-income seniors, middle class America, and put the squeeze on rural Americans. It’s no shock that the CPP’s most detrimental impacts effected states that did not vote for him in 2012. A 30 percent reduction in carbon emissions from 2005 levels by 2025-30 is a lot. It would have jacked up energy costs for West Virginia by 20 percent; that’s a tax increase…for being a GOP voter. Obama’s war on coal was a war on red state America and rural communities, which were decimated by his administration’s eight-year war on the industry. For these people, yes—economic destitution was the end result, and talk is cheap in politics. it was the personification of the disdain liberal America has for any community that isn’t majority college-educated, financially well-off, and near a major metropolitan area. In these toxic deep blue slices of America, deer wandering into backyards becomes an issue for these folks. Yes, wildlife exists in America.